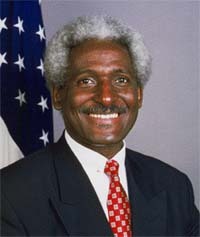 Prior to joining the Foreign Service, Palmer served as a Peace Corps volunteer in Liberia, West Africa (1971-1973); as assistant director of financial aid at the University of Virginia in Charlottesville (1973-1974); as a professor of history at Cuttington College in Suakoko, Liberia (1974-1976); and at Wake Forest University in Winston Salem, North Carolina (1978-1981). WASHINGTON, D.C. -- U.S. President Barack Obama on Monday nominated Ambassador Larry Leon Palmer -- formerly the US Ambassador to Honduras -- as the new U.S. Ambassador to Venezuela. "I am proud to nominate such accomplished and dedicated individuals to fill these important roles. They will be valuable additions to my administration as we work to confront our challenges at home and abroad, and I look forward to working with them in the months and years ahead," said Obama. 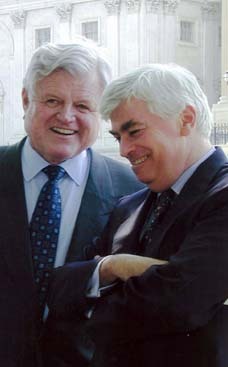 Palmer is a career member of the Senior Foreign Service. 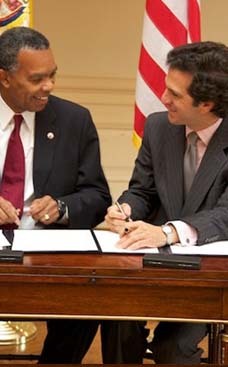 He is currently serving as President and CEO of the Inter-American Foundation. Prior to that he served as U. S. Ambassador to Honduras and as Charge D'Affaires in Quito, Ecuador. He also served as President of the 41st Senior Seminar and as Assistant to the President of the University of Texas at El Paso. Overseas posts include the Dominican Republic, Uruguay, Paraguay, Korea, and Sierra Leone. Born in Augusta, Georgia, Palmer received a B.A from Emory University, an M. Ed. from Texas Southern University and a Doctorate (Ed.D) in Higher Education Administration and African Studies from Indiana University, Bloomington. Prior to joining the Foreign Service, Palmer served as a Peace Corps volunteer in Liberia. Ambassador Palmer entered the Foreign Service in 1982. He served as vice consul in the Dominican Republic from 1982 to 1984, and then as personnel officer in Montevideo, Uruguay, and Asuncion, Paraguay, from 1984 to 1986. He worked in the State Department as staff assistant to the Assistant Secretary for African Affairs from 1986-87 and then served as counselor for administration in Freetown, Sierra Leone from 1987 to 1989. In 1989, Palmer became a Pearson Fellow, serving as assistant to the president of the University of Texas at El Paso. His portfolio was advancing the North American Free Trade Agreement (NAFTA), creating faculty and student exchange opportunities in universities throughout Mexico, and serving as university consultant for International Affairs. At the end of two years as a Pearson Fellow, Palmer left to serve as personnel officer in Seoul, Korea, from 1991 to 1994, and later served as counselor for administration in the Dominican Republic from 1994 to 1998. From 1998-99, Palmer attended the Senior Seminar. He arrived in Quito to begin a tour as Deputy Chief of Mission in August 1999. He finished his tour in Quito as Chargé d'Affaires In July 2002. He was sworn in as US Ambassador to Honduras on September 9, 2002, by then Secretary of State Colin L. Powell, and served in that capacity until 2005. Born in Augusta, Georgia in 1948, Palmer graduated from Emory University (B.A., 1970) and completed his graduate training at Texas Southern University (M.Ed., African History, 1973) and Indiana University Bloomington (Ed. D., Higher Education Administration and African Studies, 1978).